The Next Angry Birds Is A Turn-Based Role-Playing Game. What? Angry Birds developer Rovio said they were teasing an epic new game, and they weren't kidding. Soft launching in Australia and Canada this week, Angry Birds Epic is an adventure role-playing game with turn-based combat and an extensive crafting system. I did not see this coming. It actually sounds pretty amazing for a mobile title. A story-driven campaign with a challenging endgame? Will there be raiding? Can birds raid things? Alfred Hitchcock certainly thought so. Sounds like crafting will be an important part of the game as well, with players making armor, potions, and weapons using resources either won in the game or purchased via real currency. 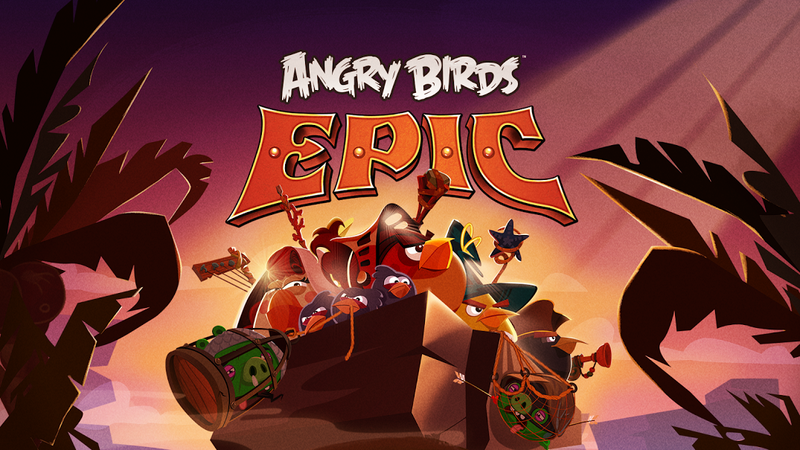 Angry Birds Epic will launch in an incredibly early form in the Canadian and Australian iTunes stores later this week. Later this year the finished version of the game will launch globally for iOS, Android and Windows Phone 8.